It was Brigade Models sale so part of the Christmas present for me from me last Christmas was some more stuff from them – Aeronefs to be accurate. 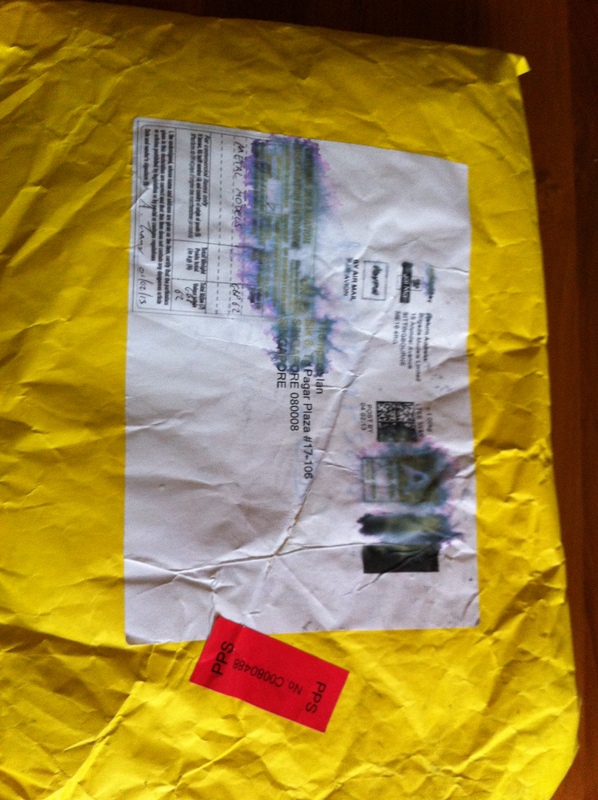 Singapore Post did well to deliver the parcel given that the label, printed on an inkjet printer I would guess, was starting to wash away because of the inclement weather here at this time of the year. I had purchased a Japanese fleet along with an American fleet (I think that must have been Brigade’s Summer Sale) back in July last year so I took the opportunity to add some reinforcements to both of them. I think this will produce two fairly large Aeronef fleets and some interesting battles. The Japanese and Americans were another two of the protagonists for my Peshawar campaign when I ever get around to spending more time building that. I also purchased a Russian fleet pack (the missing protagonist for the Great Game that will be Peshawar and that fleet was also included. I will photograph all this up properly later. In the meantime, the picture of the plastic bags to the left will just have to serve to whet your appetite! Observant readers of the Hole will notice that there are, in fact, four bags there and so far I have described three lots of vessels only. 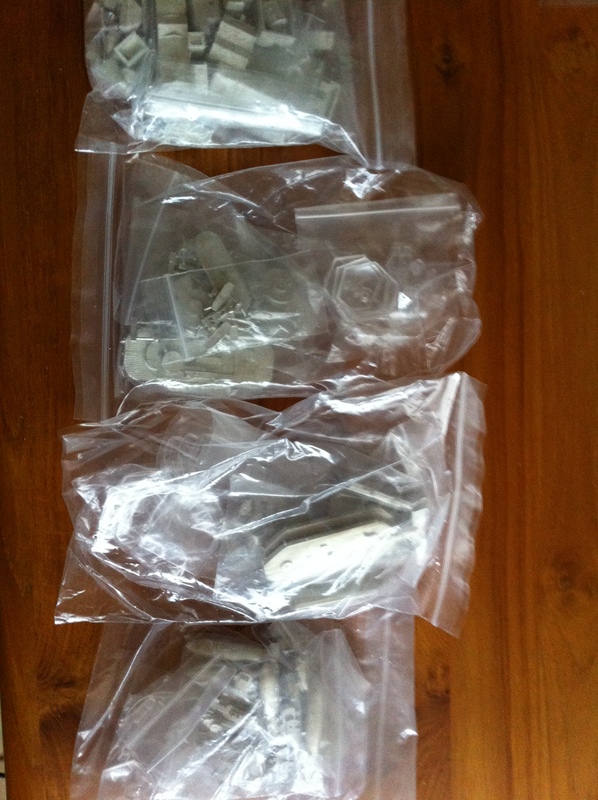 The fourth bag is actually full of 2mm scale buildings. These are the approximate scale of the Aeronefs and the Land Ironclads. I had some 2mm terrain from Irregular Miniatures delivered earlier in the year as well but Brigade Models have started producing their own 2mm buildings so I purchased an industrial estate as well as a country village. More photos of them to follow too. I will say now though that having had a quick look through the buildings, they are very nice. 244,398 hits. Note that I had 258,644 hits on the Hole before moving here.